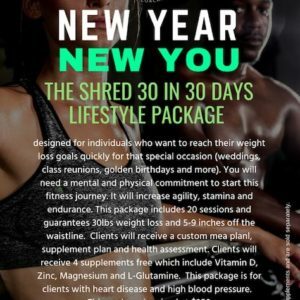 The Transformational Shred Lifestyle Package are for clients who want to achieve weight loss. 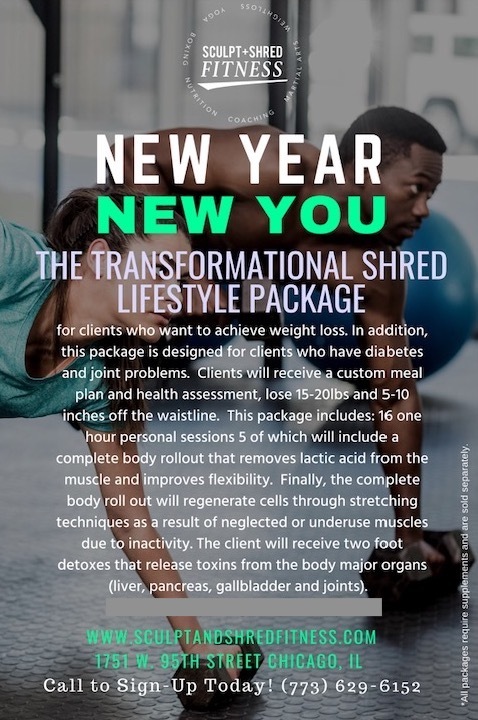 In addition, this package is designed for clients who have diabetes and joint problems. 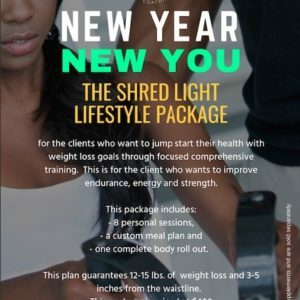 Clients will receive a custom meal plan and health assessment, lose 15-20lbs and 5-10 inches off the waistline. 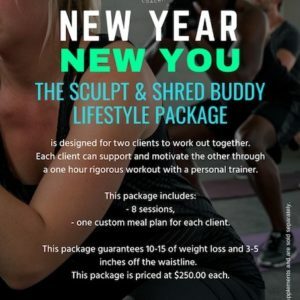 This package includes: 16 one hour personal sessions 5 of which will include a complete body rollout that removes lactic acid from the muscle and improves flexibility. Finally, the complete body roll out will regenerate cells through stretching techniques as a result of neglected or underuse muscles due to inactivity. The client will receive two foot detoxes that release toxins from the body major organs (liver, pancreas, gallbladder and joints).